1950s - Computer-Based Instruction is used in educational and training environments. Check the Instructional Design Models and Theories: Computer-Based Instruction Theory article to find more. Computer-based instruction, also commonly referred to as Computer Assisted Instruction, was introduced during the 1950s. The pioneers of the movement were a team of researchers at IBM, including Gordon Pask and O. M. Moore. However, it wasn't until the 1960s that the Computer-Based Instruction Theory began to take shape, thanks to federal funding for research and development for various industrial and educational labs throughout the United States. More specifically, the US government funded two companies - Control Data Corporation and Mitre Corporation -, for the development of two separate projects, PLATO (Programmed Logic for Automatic Teaching Operation) and TICCIT (Time-Shared Interactive Computer Controlled Information Television). TICCIT was designed to teach higher-order concepts with the use of an instructional design system called RULEG and was mostly addressed to adult learners. PLATO was a computer-based training network, whose system provided access to a central library of courses. As computer technology evolved, so did computer-based learning. 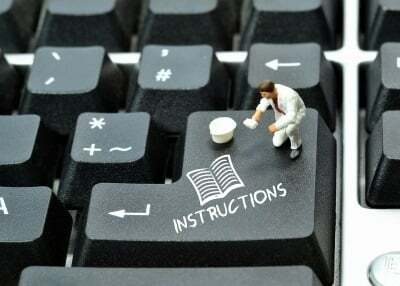 Today, the Computer-Based Instruction model is used by myriad of learning programs throughout the world. Any instructional program that includes the use of a computer –CD-ROMs, DVDs, etc.- is based on this concept, which can also be implemented in conjunction with traditional teaching methods to enhance the overall educational experience.Computers can also be used in the workplace, to educate employees about new work practices or regulations that must be followed within their professional environment. More complex lessons can also be delivered via computers, allowing instructors to educate their learners in a more effective and profound way. Even students who are unable to attend school or individual courses are given the chance to learn through Computer-Based Instruction schemes. SimulationsSimplified representations of real situations, processes, etc. TutorialsEnriching background knowledge, ideal for verbal and conceptual learning, as well as for simultaneous attendance. PracticeIncreasing fluency in a new skill, and providing immediate feedback. Instructional gamesProviding motivation elements, such as competition, cooperation, etc., substituting exercises, and inspiring goal-setting, creativity, and respect for rules. Problem solvingFocused, specialized, and designed to promote problem-solving abilities for a variety of situations. As a method, is highly interactive. It can motivate learners and provide immediate feedback. It can store the performance of the learner for future use or further fine-tuning. It can be adjusted depending on the level of the learner. It involves dynamic processes and can use multiple forms of presentation. It generally requires less time than traditional methods. Overly simplified applications might not be as effective, and may not make good use of the computer. Their development is time-consuming and can be quite costly. Equipment and software can also be costly, and, thus, difficult to acquire. Not all subjects or fields can be assisted or supported by CBI. It might have limited modalities, unless developed by experts and with the use of multimedia.